The Dr. Jart Cicapair Calming Mask contains a multi tiger grass complex that instantly soothes, and helps to repair sensitive and damaged skin. The Fflow Oilsoo Tone-up Mask is packed with Vitamin C from rose extract to help brighten and tone the skin, as well as deeply moisturise. The DR.G My Skin Type DSNT Mask contains pine bark extract to moisturise and soothe dry and sensitive skin, as well as activated filaggrin ingredients to protect the skin barrier. The Papa Recipe Bombee Fruitables White Squeeze Balancing Mask contains a complex of cauliflower, potato, pear, coconut and cabbage extracts to balance and soothe damaged skin. The Dr. Althea Pore-Control Charcoal Mask contains charcoal and fomes officinalis extract to help purify pores, as well as adenosine to improve firmness. The JMSolution Honey Luminous Royal Propolis Mask contains propolis extracted from beehives to moisturise and nourish dry and dehydrated skin. The Mediheal Tea Tree Care Solution Essential Mask contains tea tree leaf oil, recutita and centella asiatica extracts to control sebum production and soothe irritated skin. The Dr. Althea Premium Squalane Silk Mask contains sodium hyaluronate, hydrolysed collagen and squalane to improve elasticity and reduce fine lines and wrinkles. The JayJun Honey Dew Purple Mask contains manuka honey and propolis to moisturise, as well as a complex of blueberry, beefsteak plant, fig, plum and beet extracts to improve elasticity. The The Face Shop Mask.Lab Brightening Lift Up Face Mask includes an elasticity band for firming, and provides a brightening effect with ingredients like niacinamide and vitamin C.
The JMsolution Water Luminous SOS Ringer Mask contains hyaluronic acid, collage, peptide and aquaxyl to provide the skin with intensive hydration. The Papa Recipe Bombee Black Honey Mask contains richly moisturising propolis and manuka honey extracts to help moisturise and brighten the skin. The Missha ‘A Mask Sheet Only For Me’ Brave Day Mask is infused with grapefruit seed extract to deliver a hydrating and nourishing effect to the skin. The Innisfree My Real Squeeze Lime Mask is enriched with fresh moisture from fresh limes to replenish moisture and brighten dull and dry skin. The Merbliss Wedding Dress Firming Ampoule Mask contains hydrolyzed collagen, acetyl hexapeptide-8 and tocopheryl acetate to help firm the skin and improve elasticity. The Jayjun Essential Therapy Calming Up Mask is infused with grapefruit oil which is renowned for its soothing, pore-tightening and skin cooling properties. The Common Labs Ggultamin E Real Jel Mask includes an AHA and BHA peel pad to gently exfoliate, and a sheet mask packed with vitamin E to calm the skin and improve elasticity. The Missha Bee Pollen Renew Sheet Mask contains 43% bee pollen extract to help revitalise dull and tired skin, as well as bamboo extract to deeply hydrate. The Too Cool For School Egg Cream Firming Mask contains concentrated egg yolk extract and enriched collagen to increase elasticity and firmness in the skin and reduce fine lines. 2. Remove the protective mesh and apply mask. The Dr.Jart+ V7 Toning Mask contains a 7 vitamin complex (A, B3, B5, C, E, F, H), white jade to brighten uneven skin tone, while hyaluronic acid hydrates and plumps the skin. The Mochi Blue-Deep Moisture Mask contains hyaluronic acid to deeply moisturise dry skin, while niacinamide and blueberry extract help to brighten and restore glow. The Papa Recipe Bombee Royal Honey Propolis Mask contains honey, propolis and royal jelly extract to richly nourish and moisturise the skin. The Dr. G Aqua Collagen Sheet Mask contains collagen peptides to plump the skin and reduce fine lines and wrinkles, while hyaluronic acid and aloe vera soothe and hydrate dry skin. The Dr. Althea Premium Essential Skin Conditioner Silk Mask contains witch hazel, boswellia serrata resin and panax notoginseng root to hydrate, soothe and calm the skin. 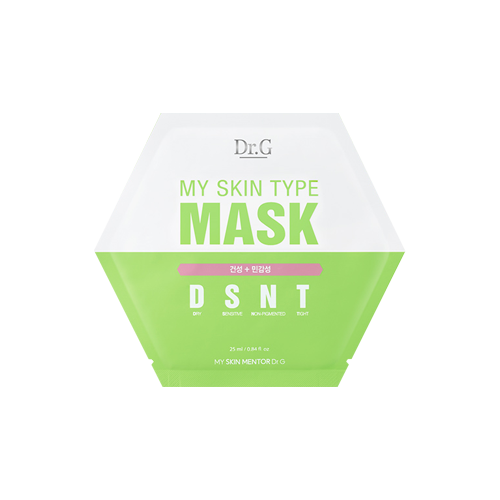 The DR.G My Skin Type OSNW Mask is formulated with pine bark extract and filagrinol to help tighten pores, control sebum and soothe oily skin. The VT Cosmetic Probiotics Mask contains lactobacillus, bifida ferment lysate and yoghurt extract to moisturise and strengthen the skin barrier. The Shangpree Marine Jewel Nourishing Mask is enriched with the DNA of salmon, pearls, oysters and seaweed to nourish, deeply hydrate and restore a youthful glow. The Merbliss Wedding Dress Hydra Ampoule Mask contains sodium hyaluronate, trehalose and betaine to help moisturise and replenish nutrients to the skin. The SNP Bird's Nest Aqua Fitting Cell Mask contains marine complex and bird's nest extract to help repair and soothe rough skin, as well as maintain water and oil balance. The Innisfree My Real Squeeze Cucumber Mask is enriched with fresh moisture from fragrant cucumbers to replenish moisture to dry skin. The Papa Recipe Bombee Fruitables Purple Squeeze Lifting Mask contains extracts from purple potato, eggplant, beet, blueberry and bilberry to firm and nourish ageing skin. The Alaxo Seaweed Mask contains antarcticine, seaweed, hydrolysed collagen to soothe sensitive skin as well as moisturise and oil-balance the skin. The Papa Recipe Bombee Green Honey Mask Pack contains avocado, parsley, propolis and vegetable collagen to replenish moisture in dry skin as well as restore elasticity. The Dr.G Wrinkle Snail Mask Pack is formulated with snail mucus filtrate, adenosine and coenzyme to effectively reduce fine lines and wrinkles. The A By Bom Ultra Water Leaf Mask contains natural plant extracts like birch and cypress water, lavender and basil extracts to replenish water to the skin, combat ageing and calm sensitivity. The JM Solution Water Luminous Avocado Nourishing In Oil Mask utilises avocado oil to combat acne, blackheads and skin inflammation. 2. Fold over the bottom pouch upwards and push up until it pops. Rub the mask gently to mix and distribute the essence. 3. Apply mask and leave on for 10 to 20 minutes. The Merbliss Nurse Healing Mask is enriched with phytoncide complex, hydrolysed collagen, as well as rosemary and peppermint leaf extracts to soothe tired and sensitive skin. The Peripera Lemon Juice Time Mask contains fresh fruit extract from lemons as well as centella asiatica and hyaluronic acid to help moisturise and brighten the skin. The Innisfree My Real Squeeze Fig Mask is enriched with rich vitamins thoroughly squeezed from figs to help brighten skin as well as replenish moisture. The Dr.Jart+ Mask Intra Jet Wrinkless Solution contains collagen, elastin, and adenosine to improve the appearance of fine lines and wrinkles for a smooth complexion. The Merbliss Wedding Dress Aloe Soothing Clear Seal Mask contains aloe, honey, cucumber and propolis to soothe and deeply moisturise irritated and dry skin. The JayJun More Than Nutrition Brightening Mask contains super grains like rice gran, black bean oil and lentils to brighten and illuminate dull skin. 1. Cleanse the skin with the Step 1 More Than Nutrition Cleanser. 2. Apply the Step 2 More Than Nutrition Mask and leave on for 10 to 20 minutes. 3. Remove mask and apply the Step 3 More Than Nutrition Cream. The JayJun Rose Blossom Mask contains rosa centifolia water, betaine and allantoin to nourish dry and rough skin, as well as brighten the complexion. The A.by Bom 2-Step Ultra Cool Leaf Mask contains lemon balm, mint leaf and applemint extracts to provide a cooling effect to the skin while also hydrating. 2. Apply the Leaf Patches on the areas of the face where intensive care is needed, such as around the eyes or lips. 3. Apply the Ultra Cool Leaf Mask on top of the patches and leave on for 10-20 minutes. The Peripera Grape Juice Time Mask Sheet contains fresh fruit extract from grapes to help moisturise and nourish the skin. The JM Solution Lacto Saccharomyces Golden Rice Mask contains avena sativa, rice and cactobacillus extracts to provide a brightening and firming effect to the skin. The Papa Recipe Bombee Fruitables Yellow Squeeze Brightening Mask contains a complex of 5 extracts, including yuja, mango, pineapple, loquat and ginger to help brighten dull skin tone.